Don’t miss this fabulous survey, at Bathurst Regional Art Gallery until 23 September 2012. 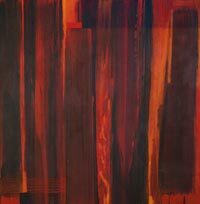 Opening at Utopia Art Sydney: a survey of Christopher Hodges’ works on paper, from 1988 to 2012. Book now for a Spring dinner for the occasion, designed by Jared Ingersoll at the Danks Street Depot. Special price: two courses for $45. 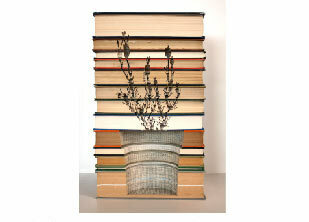 Find sculpture by Melbourne-based artist Kylie Stillman at Wyndham Art Gallery, Werribee. ‘Local, an exhibition of Wyndham’s professional artists’ closes 30 September. Save the date: 19 September 2012, 5 - 8pm. Work by Papunya Tula artist Warlimpirrnga Tjapaltjarri is included in dOCUMENTA (13) in Kassel, Germany until 16 September 2012. 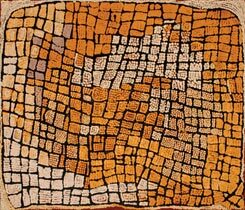 Don’t miss his paintings in our current show, 'Classic Works from Papunya Tula Artists', which ends this Saturday 16 June! Congratulations to Yukultji Napangati who has been awarded the 37th Alice Prize, a national contemporary art award, judged this year by Nick Mitzevich, Director of the Art Gallery of South Australia. 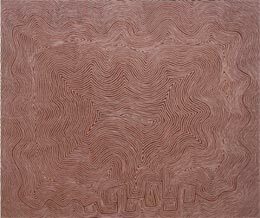 Paintings by Yukultji Napangati will be on display at the Utopia Art Sydney stand at the Melbourne Art Fair 2012 in August. Christopher Hodges has just returned from Seattle, where he spoke as a panelist at a symposium in conjunction with Ancestral Modern at the Seattle Art Museum. Margaret Levi and Bob Kaplan’s collection includes many of our gallery artists. Exhibition open until 2 September, 2012. Tony Coleing will be featured in a curated exhibition at the Mornington Peninsula Regional Gallery titled Controversy: The Power of Art. Exhibition dates 21 June - 12 August 2012. An excellent survey exhibition of Angus Nivison’s paintings, curated by Sandra McMahon, opens tomorrow night at Tamworth Regional Gallery. Exhibition dates 16 June - 28 July 2012. Both Barry Pearce and John McDonald have written essays for the catalogue, which is well worth a look! Don’t forget to save the date for the Danks Street Galleries’ special opening next Wednesday 20 June from 6-8pm. 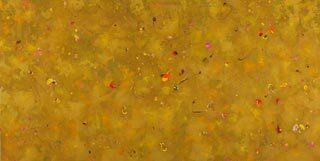 At Utopia Art Sydney we will open' Interconnected' , featuring works by Biennale of Sydney artists David Aspden, Makinti Napanangka and Craigie Horsfield. 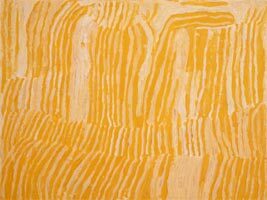 Also including Helen Eager, Emily Kame Kngwarreye and George Tjungurrayi. 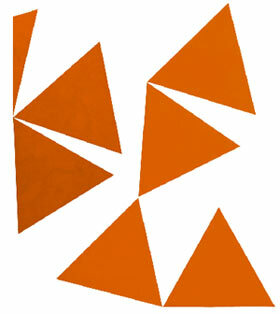 See paintings by Peter Maloney in a group show looking at found abstraction in Australian contemporary art. ‘Test Pattern’ is at Margaret Lawrence Gallery, 40 Dodds Street Southbank, Melbourne until 9 June. Naata Nungurrayi has been included in 'unDisclosed' at the National Gallery of Australia, showcasing the work of 20 leading Aboriginal and Torres Strait Islander artists in Australian contemporary art. 11 May - 22 July, 2012. The Danks Street galleries will be holding a special opening from 6-8pm to celebrate the winter solstice.Make sure to book your dinner at Danks Street Depot. 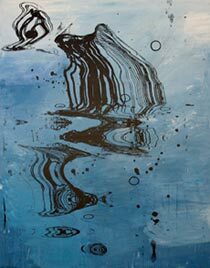 A solo exhibition of paintings by Liz Coats, the culmination of her post-doctoral research over the past three and a half years, will be at the School of Art Gallery, Australian National University from 7 June - 15 June, opening 6pm 7 June. Margaret Levi and Bob Kaplan’s collection includes many of our gallery artists. 31 May - 2 September, 2012. Christopher Hodges will be speaking as a panelist at a symposium in conjunction with Ancestral Modern at the Seattle Art Museum on Thursday 31 May, 2012. An excellent survey exhibition of Angus Nivison’s paintings will be on show at Tamworth Regional Gallery from 16 June - 28 July 2012. 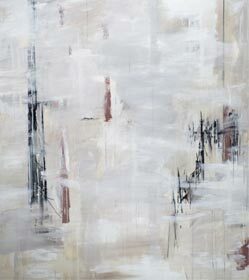 Helen Eager's exhibition colour and light opening today 3-5pm. Helen Eager's 'Tango' commissioned for the New Museum of Contemporary Art will be unveiled next week! We are proud to announce that works by David Aspden and Makinti Napanangka have been selected for the 18th Biennale of Sydney: all our relations. This has been postponed. Watch this space for the new date. 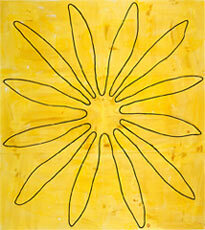 Meanwhile, Eager’s survey show at Utopia Art Sydney opens on Saturday 24 March. On Saturday 17 March 2 Danks Street will be jam-packed with free talks for Art Month. Don’t miss Bryan Hooper’s floor talk at Utopia Art Sydney with insightful information on our Abstraction show, starting at 11.30am. Helen Eager is about to add her signature abstract style to the iconic vista of Sydney's Circular Quay! In March 2012 a large-scale wall drawing by Eager will be unveiled at the harbour entrance of the newly renovated MCA buliding. 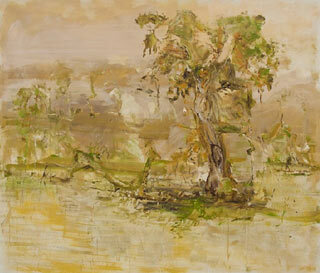 Don't miss our survey exhibition of Eager's oeuvre from 24 March – 28 April. Kylie Stillman's work will be featured in 'Wonderland: New Contempory Art from Australia' at the Museum of Contempory Art, Taipei from11 February –15 April 2012. Also, see the arist's work in a window installation, 'The Opposite of Wild', on view from the street at 39-41 Arnold St, South Yarra until 13 March. 'Aboriginal Art: On the Margins No Longer', Meanjin: Volume 70, Number 4, Summer 2011. Utopia Art Sydney is now on Facebook! 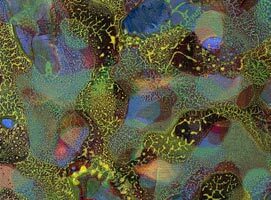 You are invited to the opening of John R Walker's solo exhibition 'Space and Time: Ten Years in the Landscape' at Maitland Regional Art Gallery on Saturday 22 October at 3pm. Exhibition runs until 4 December 2011.